If you want a fresh, albeit dark, look at what it means to settle down, be in love and take responsibility for your own adulthood, you should see Rafael Palacio Illingworth's new painstakingly realistic drama, 'Between Us'. Starring Ben Feldman, Olivia Thirlby, Analiegh Tipton and Adam Goldberg in roles you've absolutely never seen them in before, 'Between Us' is a raw and at times unsettling, yet shockingly relatable, assessment of the confusing period of time that helps define who we really are as people. Thirlby and Feldman star as a young couple destined to get married who struggle to face the reality of what long-term commitment really means. With breakthrough performances from Tipton and Goldberg, who give the 'happy' couple a psychological and emotional run for their money, 'Between Us' resonates with an at-once beautiful and ugly reality not all people are willing to face. "If nothing else," reads a review on Indiewire.com, "this movie bottles what it feels like to have your feet held to the fire." The question is -- can you handle the heat that 'Between Us' is bringing to your feet? The cast sure can. 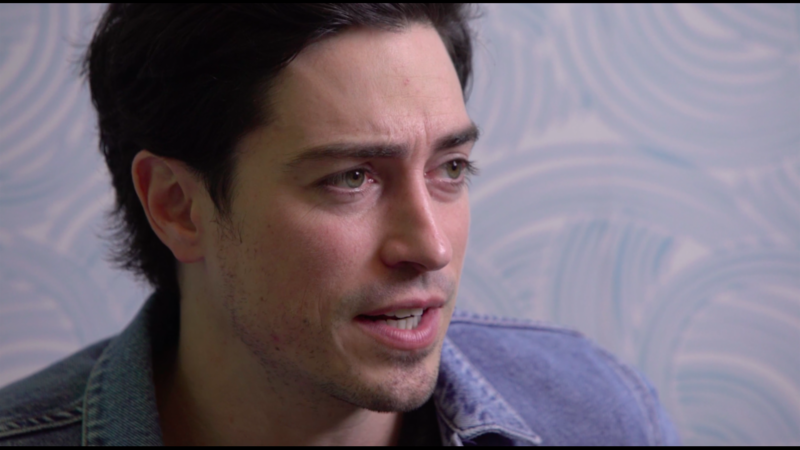 Star Ben Feldman loved the 'Between Us' largely because of the raw reality that it invites. "I read Between Us a while back and felt really uncomfortable and confused and scared and weirded out, and thats the kind of thing that I love." To hear more from the rest of the cast about why they were drawn to this script, why it was meaningful for them to be featured in Tribeca Film Festival, and more, check out the exclusive interview above!